A Place To Bury Strangers in Montreal or Quebec City? Inform me about the next events for A Place To Bury Strangers. Enroll yourself to our priority waiting list for A Place To Bury Strangers to be alerted when new tickets are available. Filling this form doesn't engage you to any purchase. 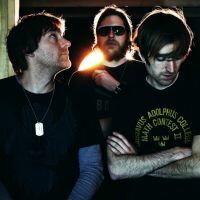 A Place to Bury Strangers, or APTBS, is a band from New York City that came together in 2003. The band members are Oliver Ackerman, Dion Lunadon and Robi Gonzalez. Since their debut, they've recorded four studio albums and many more LPs, singles and EPs. In 2008, they toured with the band Nine Inch Nails and opened for them on their US tour. They'll be perfoming their latest album, Transfixation, at Sala Rossa in Montreal in October 2015.